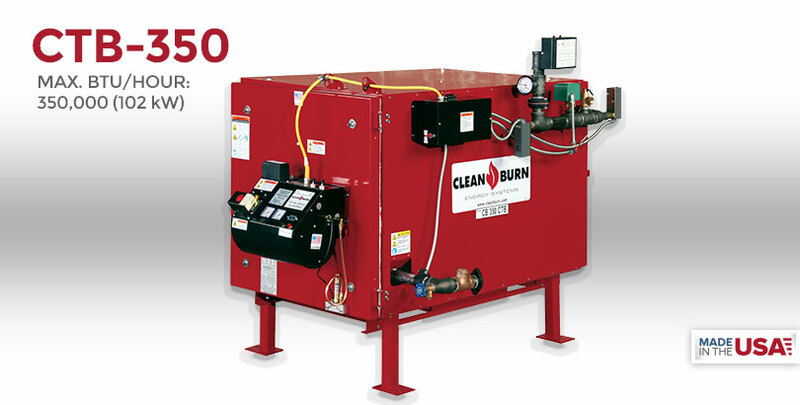 The Clean Burn Model CTB-350 waste oil boiler has an input rating of 350,000 BTU/hr and an output rating of 260,00 BTU/hr. The CTB-350 is UL listed for use in central heating systems. With the mid-sized CTB-350, you spend 30 minutes cleaning every 1000 hours of operation. It is uniquely designed for installation flexibility. Engineered for use as a single boiler unit, or it can be used in combination with any Clean Burn boiler to create a system perfectly sized for any facility.